This was published in the Utusan Konsumer Mar -Apr 2009 edition. 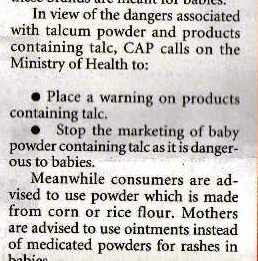 In fact I have heard about the danger of using talcum powder many years ago but never bother to really find out why it is so. 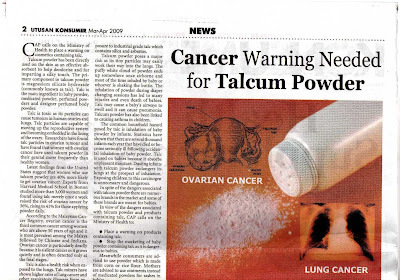 Believing in what I have read today, I decided to throw away every single bottle of the talcum powder from my house.